There is nothing like personal experience. Imagine if historians could go back to the era of the Roman Empire, imagine if they could interview an emperor or a soldier. Certainly they would gain some valuable and very interesting knowledge, but is there a down side? Is this as simple as it seems? When Israeli archeologists discover new artifacts it is always big and exciting news, another piece of the puzzle is filled in, some questions are answered, and we get a clearer picture. However it is not so simple. You found a scroll with a Biblical passage, and it is different from the one we have today, so now we know that the Bible has changed over the years. Or do we? Perhaps the reason that fragment of parchment with Biblical writing was discarded so long ago was because it contained a mistake? Perhaps it was written by a scholar in training and when it was found to have a mistake it was discarded? More research is required. No archeologist or historian will draw any conclusions from an isolated find. And what if you entered the Time Tunnel and were suddenly in one of those epic Roman battles? Exciting indeed. Now you come back and tell us that all we have known until now is incorrect, for you have seen it with your own eyes, you have the personal experience that we lack. But is that so? You saw one small segment of one battle of one war, and yet we know there were hundreds of campaigns. Perhaps the behavior of the Roman army in that campaign was not indicative of the other battles, perhaps there was an inexperienced commander who was later replaced? Perhaps you only saw a little bit from one angle? While all knowledge and experience is valuable to our research we cannot rush to conclusions based on an isolated case as reported by one inexperienced individual. It is the same with self defense. A certain kid named Hogg witnessed a school shooting (although some claim he was not even there), in his eyes this makes him the expert in the field. Now he can lecture law enforcement. He words were, we were there, we are the experts. He believes he now has a right to meet the president and dictate policy, for "he was there", he is now the expert in the field. What makes one an expert in any field? Is personal experience a mandatory requirement? I suggest not. In fact I think personal experience can cloud one's judgment, if that experience is limited. hand to hand combat, one opponent, two opponents, three opponents, in a car, in a bar, on the train, in a plane. You must experience each and every scenario. Knife Threats; big knives, small knives, outside, inside, etc. Knife Attacks; The possibilities you must experience are too numerous to list here. I think we are getting the picture. It is impossible to experience all forms of combat, self defense, survival. However we can look at an old Talmudic saying; Who is wise? He who learns from every person. So we can learn. We can study, we can train. We can speak to those who have experience violence and gain the experience of many men and women. We can watch CCTV, surveillance cameras. We can speak to bouncers and police officers. And then we can test things out full force. and, we must work on the mindset to truly understand what happens to the body and the mind in a true situation. This is more challenging and is rarely covered in martial arts schools. We at IKI spend a lot of time on this. Some students don't like this, they came to sweat, burn calories, hit, punch, kick, Action, Action, blood and bruises! But that will never help them in a real situation until they can recreate the feeling of shock, fear, paralyzing fear that prevents one from using any of your techniques, you are frozen. Professor Cohen told me that one can become an expert in any field if one studies enough. 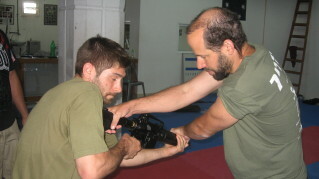 Professor Arthur Cohen became a sought after self defense expert. He was used as a consultant for law enforcement, he published articles and books. But was he ever in a real street fight? It actually never occurred to me to ask, I did not feel that was important. We would drive around New York and, like an encyclopedia, he would recount which acts of violence took place in each area, which gangs operated and how. He was indeed an expert because he studied crime. He certainly knew more than an individual who was mugged once, or was in one bar fight, or one school shooting. While there is value to personal experience it does not make one an expert nor are such encounters necessary in my point of view to becoming an expert. A history expert did not live through the period of his expertise and even if he did it might not have helped, as it is a limited perspective. 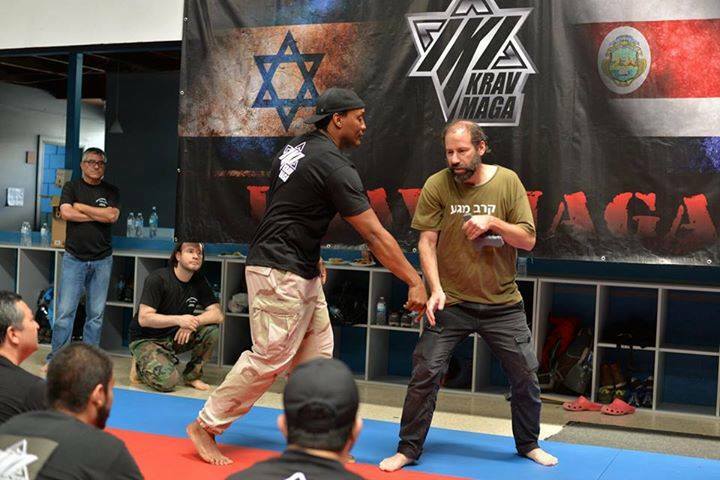 If we were to draw all our understanding of self defense from one or two "real" fights, what would we really know? What would we really understand? I want the experience of many men and women. I want to analyze the information, understand patterns of behavior, understand the nature of violence. This is the recognized path to expertise in all fields.